When a driver is stopped in New Jersey on suspicion of driving while intoxicated, there are many issues that will go through his or her mind. While DWI is a traffic offense in the state, it still carries with it harsh penalties that can have a significant influence on a person’s life. Depending on the amount of alcohol in the driver’s system, the number of times arrested for the infraction and the circumstances surrounding the arrest, the punishments can become extensive. The manner in which the arrest is made is important and can have a large bearing on the results of the case. Any driver who is charged with DWI would prefer to have the charges dismissed, dropped or win an acquittal as opposed to being convicted and having the stigma of a DWI conviction on the record. 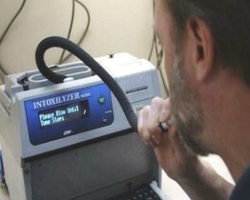 One of the ways a DWI charge is justified is through a breath test to determine the amount of alcohol in a driver’s system. If the breath test is conducted improperly, this can lay the foundation for a successful defense of the charges. When a law enforcement officer makes a DWI stop, there are certain procedures that must be followed. First, when the officer makes the stop, there must be a justifiable reason for doing so. This can be witnessing the driver breaking a traffic law, weaving in and out of traffic or committing a dangerous action. Once the stop is made, the officer will speak to the driver looking for signs of intoxication such as slurred speech, glassy eyes and the smell of alcohol. Then field sobriety tests will be given. This will include the One-Leg Stand test, the Walk-and-Turn test and the Horizontal Gaze Nystagmus test. After that, a breath test will be given. In New Jersey, a driver over the age of 21 will be arrested if the blood alcohol content measures 0.08% or above. For a driver under 21, the level is 0.01%. For a commercial driver, it is 0.04%. For a first offense DWI with a BAC of 0.08% and lower than 0.10%, the driver’s license will be suspended for three months. There will be a fine of between $250 and $400. The driver will have to pay $230 to the Intoxicated Driver Resource Center (IDRC). $100 each will be paid to the Alcohol Education and Rehabilitation Fund (AERF) and the drunk driving fund. $75 will go to the Neighborhood Services Fund. There will be a $1,000 surcharge per year for three years. There could be up to 30 days in jail. Higher BAC levels and subsequent arrests lead to stiffer penalties. When the case goes to trial, it is imperative that a strong defense is presented. A common way defense attorneys try to get their clients a favorable result is to call the breath test results into question. There are numerous ways to do this. While the law enforcement officer might not have intentionally made a mistake in order to make the arrest, there are still specific protocols that must be adhered to for the test to be deemed admissible. If, for example, the officer plans to give the driver a breath test but fails to observe the driver for 20 uninterrupted minutes, the breath test could be invalid. Officers are instructed to observe drivers because if the driver chews gum, smokes a cigarette, regurgitates or does any number of other things prior to the test, the results could be compromised. Another tactic a defense attorney might use is to question whether or not the breathalyzer machine was properly calibrated. The machine is supposed to be checked regularly and in proper working order. If it isn’t, the charges might need to be dropped. The officer is required to be certified to give the test. A lapsed certification might have been an inadvertent occurrence, but that doesn’t mean it’s not a viable defense to the DWI charges. If the officer doesn’t change the mouthpiece before giving the test, this too can be used in court to try and have the breathalyzer test results thrown out. Drivers are required to follow the rules of the road and that includes not driving with an excess of alcohol in the system. However, police officers must also follow the rules when making a DWI arrest. If they fail to do so, the charges might not be legitimate and the driver will have the case dismissed without having to face the consequences of a DWI.